Are Car Accidents the Only Way Whiplash Happens? Whiplash aren’t only from rear-enders. Are you suffering? • Falls…like being bucked off a horse. 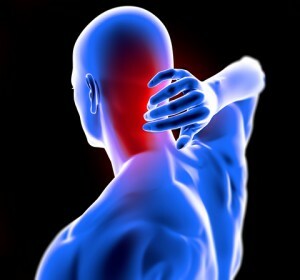 Symptoms and related pain can show up immediately or up to 72 hours after the impact that caused the whiplash injury. The pain and discomfort can last for months if not years. Whiplash, also called neck sprain or strain, is defined as a soft-tissue injury to the neck. Injury to the neck’s joints is thought to be the leading cause of whiplash pain. However, bones, ligaments, disks, nerves and muscles in the neck can all be affected by a whiplash injury. Following a whiplash injury, the goal of chiropractic care is to return affected neck joints to their normal position to relieve stress on nerves and strain on affected muscles. For best results, and to avoid the formation of scar tissue and unnecessary pain, you should make an appointment to come in for an examination as soon as possible after a whiplash injury. It is when people wait before they get treated that they have long lasting pain and discomfort. To get your bones, ligaments, disks, nerves and muscles in your neck back in place after whiplash, book your assessment today.